When you are already facing your monthly payment on your vehicle or rig, your auto or RV insurance coverage, the additional safety accessories you need for your setup, and the multitude of other costs that seem to pop up, RV roadside assistance programs can feel like, sheesh, ANOTHER expense? Doesn’t my insurance come with that? The good news is that you don’t have to get roadside assistance coverage. It is optional, though insurance brokers often recommend you purchase a roadside policy in addition to your insurance policy. 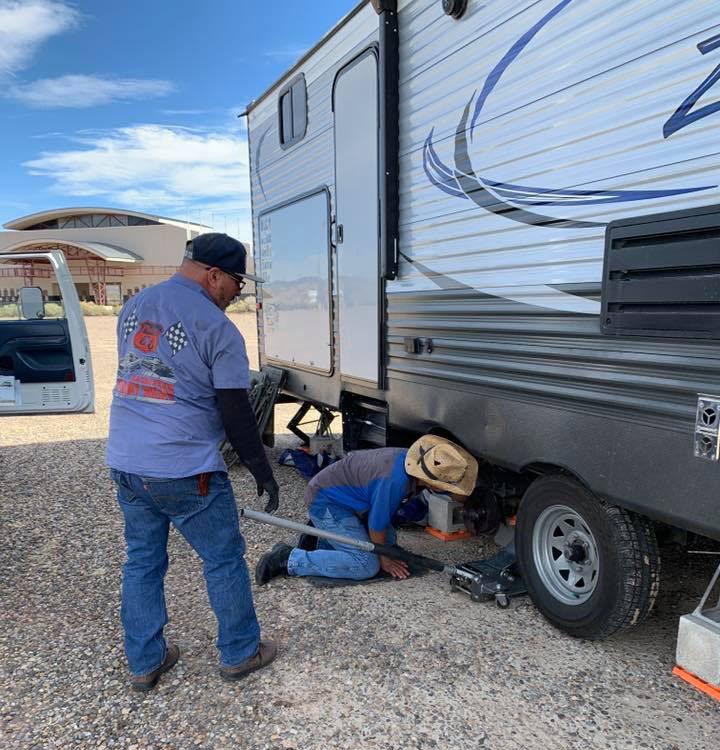 Like your GPS, sway bars, and tire pressure monitoring system, there are many reasons why having roadside assistance for your RV is a really good thing and a worthwhile expense. Not every breakdown or roadside emergency is caused by a collision. Sometimes you find yourself on the side of the road as a result of blown tires, postponed maintenance, or mechanical failures. 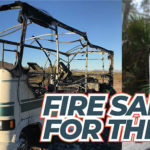 Unless there is another party involved in these issues, your RV insurance won’t typically cover the cost of getting you back on the road. 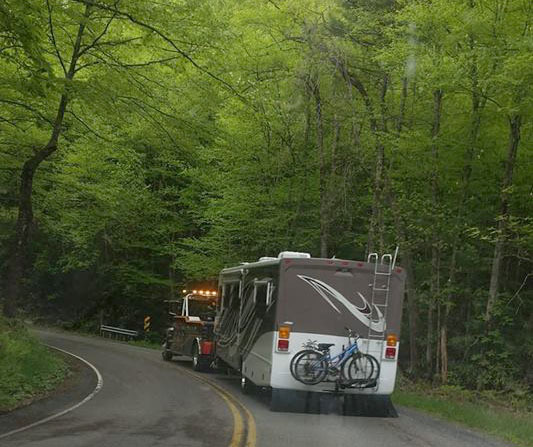 This is where your RV roadside assistance program kicks in. Though coverage varies from carrier to carrier, most offer a common variety of services. When you live your life on the road, breakdowns can happen at any time. There is comfort that comes with knowing help is within reach when something goes wrong, instead of facing the stress alone. Best of all, would you want to be the one to call around to various tow companies or repair shops to figure out if they 1) have someone available to help you and 2) can even accommodate a vehicle or RV of your size? In an already-worrisome situation, it’s nice to let someone else handle the dirty work. Saving money is also pretty handy! A good roadside assistance provider will cover a reasonable number of towed miles as part of their annual fee. Unlike automobiles, which typically incur hook-up and per-mile fees, an RV’s towing costs increase exponentially with a per-hour fee. The clock starts when the tow truck arrives, and stops when your rig has all tires on the ground at your destination. With a per-hour cost ranging from $125-350, depending on the size of your rig, it doesn’t take long to rack up a hefty bill. If your annual enrollment cost is only $99, as it would be with Escapees Roadside Assistance, it typically only takes one claim to break even. All of that said, there are points to consider when researching which roadside assistance provider is right for your needs. Though most providers offer the same or similar emergency services, the quality of those offerings can vary greatly. Don’t forget to research the quality of their customer service interactions, too. Learn more about the benefits of Escapees Roadside Assistance here. There are numerous roadside assistance companies on the market. The options can get overwhelming pretty quickly. Ultimately, you want to find the program that offers you the most benefits for the most affordable price, right? Start with your budget. How much can you afford to pay per year for a roadside service? That will help you narrow your options. Don’t forget to look at your RV clubs for guidance, too. Many offer discounted rates to their members! Then, review your options and make sure they cover the type of RV you have. Not all companies will service motorhomes or towable RVs. This is also a great time to see if your tow or towed vehicle and RV are covered under the same policy, or if they need separate ones. Once you’ve narrowed your options to two or three that suit the above criteria, it is time to do a side-by-side comparison of their coverage and services. What's Hiding in the Fine Print? What do you do when you are in the middle of nowhere and your RV or truck engine suddenly gives out? When comparing roadside assistance companies, make sure you look at the number of miles they will cover for a tow service. Some cover as little as 10 or 15 miles while others offer unlimited miles. It is important to know BEFORE you need their service! Some roadside assistance services limit the number of covered claims you can make per year. Make sure you know this limit as well as what happens if you exceed that limit. As you dig into the details, you may find that a roadside service will only tow to the nearest repair facility. If that facility cannot help you, it becomes your responsibility to get to one that can. Others will work with you to find a facility can help, or they will help you get to one that can if the situation changes. You should have a realistic expectation of what a roadside assistance program will cover. For example, they offer roadside tire repairs or replacements. If you need your tire replaced, you will be responsible for the cost of the new tire. Or, if they dispatch a mobile technician, you are typically responsible for the cost of the repair, though the service fee is often covered by your provider. This sounds like common sense, but not all consumers understand what this really means. Roadside assistance services are just that- their services are intended to get your disabled vehicle running safely enough to get you back on the road, heading somewhere that can evaluate and address your needs in more depth. This isn’t meant to imply that your vehicle is truly fixed when you pull back onto the road and drive away from your mobile technician. It becomes your responsibility to follow-up with a qualified repair facility and address the core issue that disabled your vehicle in the first place. Even if you find a service that offers unlimited service calls, like Escapees Roadside Assistance, this doesn’t guarantee that all of your calls will be covered. Each company expects the consumer to take responsibility and address necessary repairs that led to the breakdown. For example, RVers have been dismayed to find their third or fourth request in a given year for a battery jump-start comes with added fees, instead of being ‘free’ as anticipated. The reason behind these unexpected fees is that the roadside provider views the repetitive requests as neglect on the policyholder’s part to address the core problem. This means the policyholder isn’t addressing necessary repairs, leading to the battery’s repeated failure. Reviews are part of the research process for nearly any big purchase. Do your research. Look up customer reviews for the providers you are considering. As you browse reviews, though, keep in mind that not all of them share the full story. Look for statements of fact, not exaggerations. There are plenty of horror stories online of how roadside assistance companies have let people down. As is often the case with negative reviews, they are a mixture of fact and emotion. The less emotional a review is, whether positive or negative, the more likely it is a (mostly) factual retelling of the customer experience. Also, look for corrections or updates. How the company responds to the disgruntled customer is important. No one is perfect, and it is important to see how a company handles the mistakes their staff make. 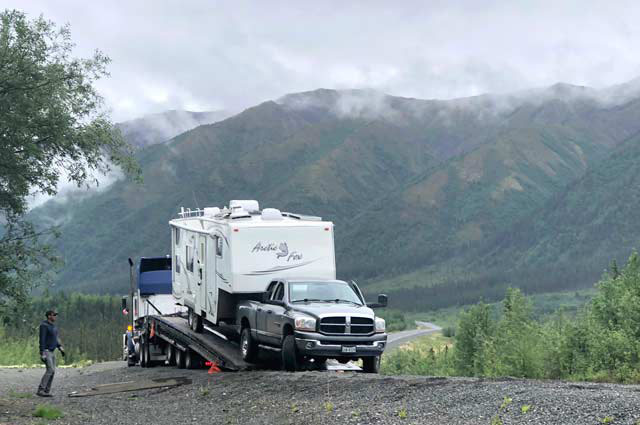 To increase the speed of service and minimize frustration, review both your RV insurance policy and your roadside assistance policy in detail. Make note of what each one covers. This way, when you find yourself on the side of the road, you have a better understanding of who you need to call first. Though either company would likely come to your assistance in the case of an emergency, you don’t want a surprise bill resulting from asking the wrong company for help. You also don’t want the frustration of being turned away by either company for requesting assistance they don’t actually offer. Being stranded is frustrating enough. 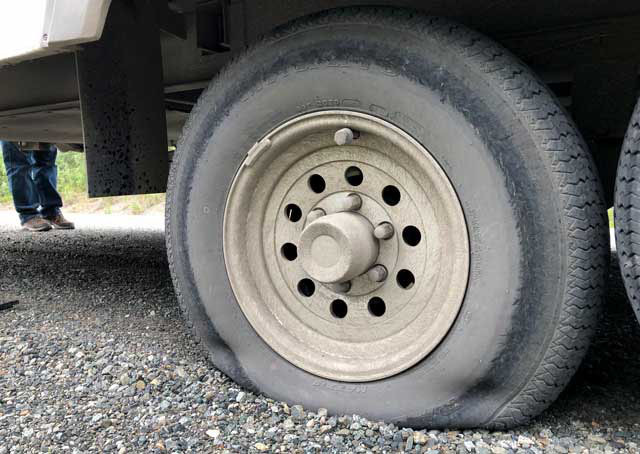 Ultimately, the decision to add a RV roadside assistance policy to your arsenal of RV tools and services is up to you. It comes down to whether or not you want the peace of mind, need the extra coverage in addition to your RV insurance policy, and whether or not you have the room in your budget. Make sure you understand your coverage and manage your expectations of service. Both insurance and roadside assistance are great policies to have, but neither is meant to entirely unburden you of cost or responsibility. Take your time in finding the right policy for you so your future self will thank you. Georgianne is the Marketing Director for Escapees RV Club. Growing up with a love of the outdoors, she continues to follow that love with numerous camping and road trips each year, putting many miles under her tires. 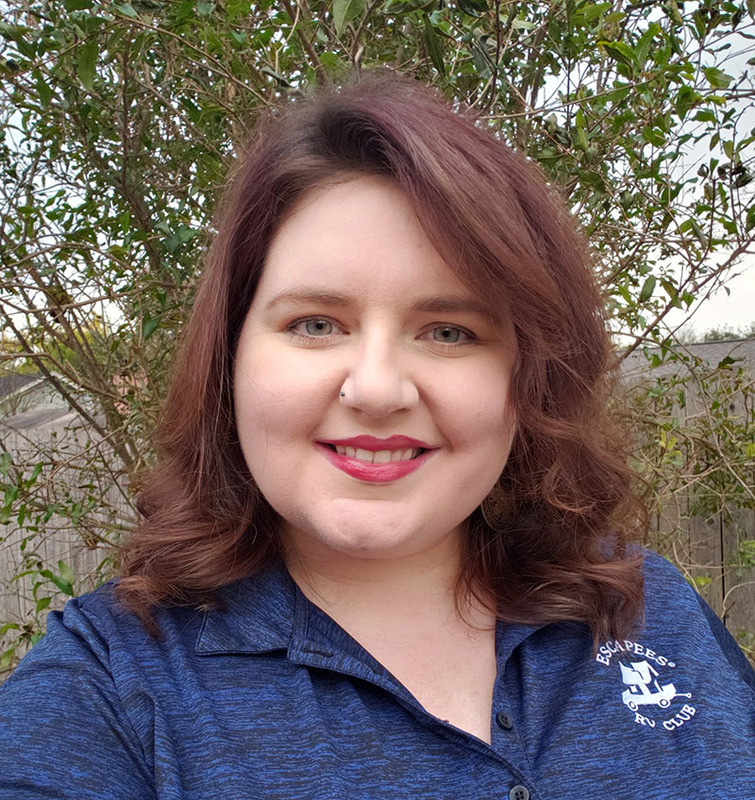 In her work with Escapees, she interacts with many RVers and professionals in related industries, soaking up information in order to understand the RV lifestyle from all perspectives. Pretty good article you got here! A lot of folks don’t know all that goes into a roadside assistance package, especially for RV’s, so something like this to clarify it all is pretty useful. Shoot, I’m a towing company owner myself, and it’s stressful seeing how few of my customers know the difference between a one-time job and actual roadside assistance — now when they ask me about this, I’ll know exactly where to direct them. Thanks! Fortunately, I get to work with some honest and up-front people in the industry, which has helped me get direct answers to a lot of tough questions. Unfortunately, some of this information I had to learn the hard way, first! There is a follow-up article in the works for this year. If you have any advice or other information you think may be useful, feel free to send me an email at marketing@escapees.com! Thanks for explaining that the goal of roadside assistance isn’t to completely fix the problem, but to get you back on the road so you can follow up with the issue. My son will be getting his driver’s license soon, so I’ve been doing some research to better understand how roadside assistance works. The info you shared definitely gave me some clarification, so thank you! I appreciate your feedback, Amy! I’m glad to know this article has been useful for you. As a motorist, I highly recommend you (and your son, if you’d like) look through the details of your roadside coverage. It is definitely an important service to have available when you need it, but knowing what is covered will help prevent sticker shock when you are already upset about something that’s gone wrong. For example, I was stranded on a holiday last year while en route to a friend’s home 4 hours from my own. That’s when I learned my roadside coverage through my auto insurance only covered 10 miles of a tow. I was in between home and my destination and didn’t want to spend my evening stuck in the middle of nowhere… so it cost me $300 to get back home where my mechanic could address the problem. I definitely wasn’t expecting that. Had I known ahead of time, I would have made a different decision that would have saved my social plans and my bank account. Thankfully, it was just my SUV and not an RV, or it would have been even more $$$. I agree with what you said about the comfort that accompanies the knowledge that help is within reach. 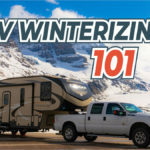 When it comes to RV accidents, it’s best to know a reputable collision repair service in order to get it fixed properly. My neighbor wants to purchase an RV, so I’ll make sure to help him find a collision repair shop in the event that he gets into an accident.